At Pelican Property Management we are continually making strides in our goal of providing the most efficient means of communication. We have recently made significant upgrades to our systems that enable us to provide both email and electronic notifications in regard to your community. The email and electronic communication will include, but not be limited to, notice of association/board meetings, proxies, ballots and membership information. Prior to enabling this feature on your account, we are required by law, under the “The Real Property Act” (MD Ann. Code Real Property, Section 11-139.1), to gain your written authorization. 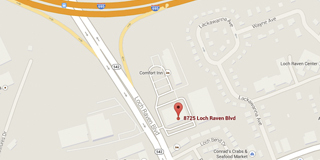 NOTE: The current property management company is Pelican Property Management, 8725 Loch Raven Blvd., 410-645-1865. The HOA shall maintain the electronic mailing addresses of those members who consent to receive notice and to vote by electronic transmission. By providing my email address as noted below, I hereby verify and confirm that any vote received by the HOA from this email address may be considered to be authorized by me, the Unit/lot owner. I understand and acknowledge that each vote sent by this email must include my name and address in order to be counted. I understand that my authorization will remain in effect until my consent to receive notice and/or vote by electronic transmission is revoked. I further understand that my consent to receive notice and/or vote by electronic transmission can be revoked by me at any time by notifying the HOA directly or the HOA’s current property management company I agree to promptly notify the HOA of any changes in my email address, so as to have a current email address on file with the HOA. Under Maryland law you have the option of requesting a paper ballot. If you choose to opt out of the online voting, please indicate by checking the opt-out box below. I wish to opt-out of all email and electronic correspondence including, but not limited to, notice of association/board meetings, statements, letters, online voting, proxies, ballots and membership information. By clicking the box below, I am electronically signing this Electronic and Email Authorization Request. I electronically sign this document. By clicking this box, I confirm that the information provided is accurate.